One Monday morning, I was on Urbanspoon searching for what to eat near my house, I came across this little Middle Eastern Sumac cafe just along Goodwood Road in Colonel Light Gardens. Since they have very good ratings and have a variety of dishes for breakfast and lunch, York and I decided to give it a try. When we arrived there, we were surprised at the size of the cafe as was rather spacious. They decorations were quite nice, as soon as we sat down, we could tell the owner paid a lot of attention to details. 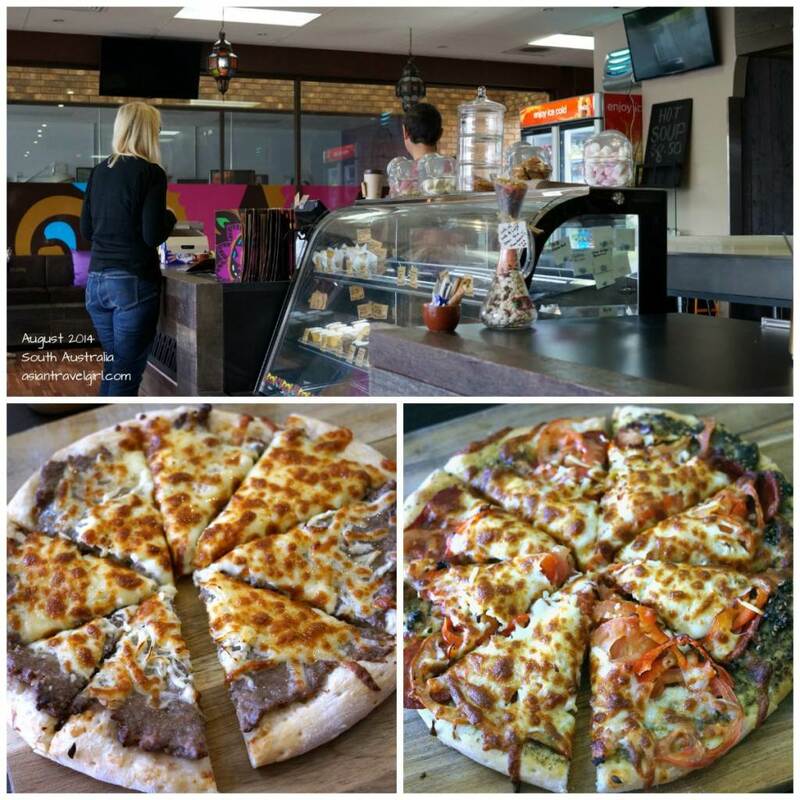 We ordered “Meat & cheese manouche- lamb mince, onion, tomato, spices, haloumi” for AUD$8.50 and a “Soujuk pizza- Turkish sausage, haloumi, tamato, capsicum” for AUD$10.00. When the meal came, we were surprised by the size of the pizza in relation to the price. Manouche is actually a Lebanese style pizza with pita bread crust, the mince was marinated very nicely and the crust was puffy but not oily. The flavor is very different to the Soujuk pizza which had a strong taste. However both pizza tasted delicious! On that day I think it was just the owner who had to do the servicing and cooking, I think he did a great job by himself. It is unfortunate they don’t open for dinner, would be great if they do since I will definitely bring friends over for dinner.